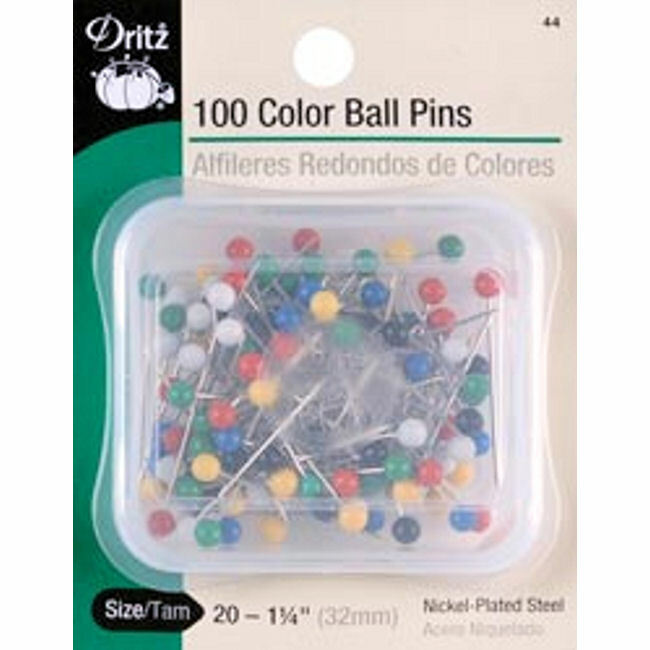 Use these Dritz Color Ball Pins for all your general purpose sewing needs. This package contains 100 nickel-plated steel pins enclosed in a re-usable plastic storage container. Pins are size 20 (1-1/4").